From rough copy to finished product, we can make your words and images sing with clarity and precision. 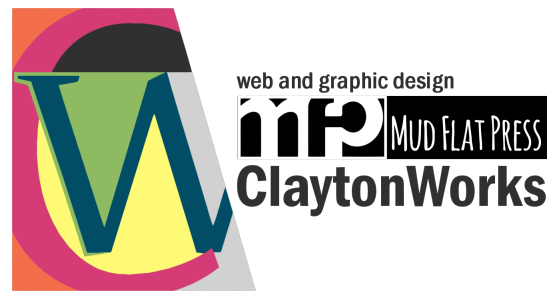 ClaytonWorks is the web and graphic design arm of Mud Flat Press. Logos, Brochures, Business Cards, Banners, T-shirts, etc. Contact us for more information and to set up a free consultation.